What Is The Crystalline Grid? The crystalline grid is the higher vibrational, multidimensional grid of the ascended earth. It’s the 5D (and higher) grid that receives infinite Divine source and ascension energies. Crystalline, ascension wave energies from the center of the galaxy. 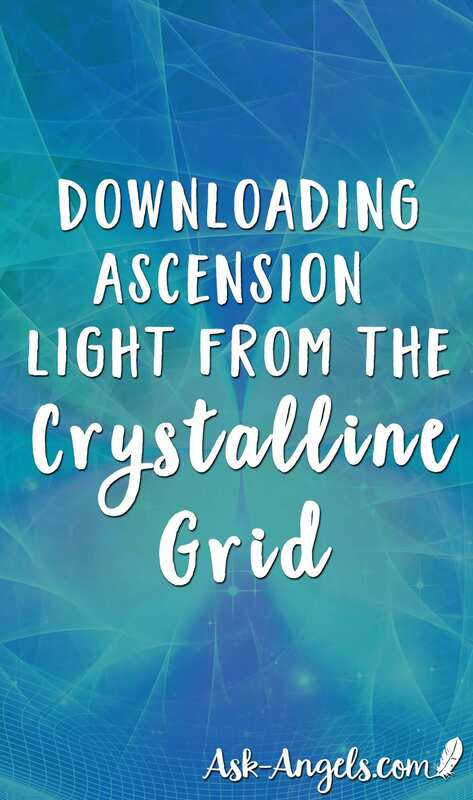 The crystalline grid then monitors the ascension process of humanity and releases new codes of awakening and higher levels of frequency to support and assist us in continuing to lift. Learn more about Crystalline Energy here. The crystalline grid receives and disperses Divine light around the earth in an equal and balanced fashion. There are, of course, certain high frequency points that are anchor points for the crystalline grid. But wherever you are, you’re able to link up to the grid and download ascension light, ascension frequency, and codes of awakening. You then ground them into your present location, your physical body, and then flow them out through the human heart grid and the collective consciousness. Connecting with the crystalline grid is powerful light work, but it’s something anyone can do. I'm happy to offer this brief tutorial to guide you to connecting with the crystalline grid. Being outside in nature is helpful. So are crystals. The crystalline grid is crystalline in nature. It’s higher dimensional crystal light, so having crystals with you can also help you make the connection. But all that you really need is your sincere attention, focus in the present moment, and the willingness to quiet your mind and enter into your heart. It's within your heart that you make the connection. Close your eyes, take a deep relaxing breath, and shift your awareness into the present moment. Focus on your heart and let your heart light expand around you. Breathe in light to your heart and as you exhale, let the heart light expand. Tune into the light flowing along your spine. Imagine an ascension column of light uniting all seven chakras as one. This column of light flows all the way down to the core of mother earth. Feel your awareness flow down with it. Anchor in this present moment and the light at the core of mother earth. Feel your oneness with the light of Gaia. You are connected to the divine and to all that is. You are a part of it. Feel your oneness with all that is. Visualize the crystalline light at the core of the earth flow upward, up through the bottom of your feet, up along your spinal column, through all of your chakras, uniting them in one light. Continue up out the top of your head. Go up with the light, into direct presence with source. Feel your oneness with source, and let your conscious awareness expand. Imagine your energy flowing upward like a spiral of light as you link with the crystalline grid. You may want to draw an infinity symbol with your right hand to help guide your energy and facilitate your connection. You can ask for the gatekeepers of the highest intention and integrity to support you in linking with the crystalline grid. 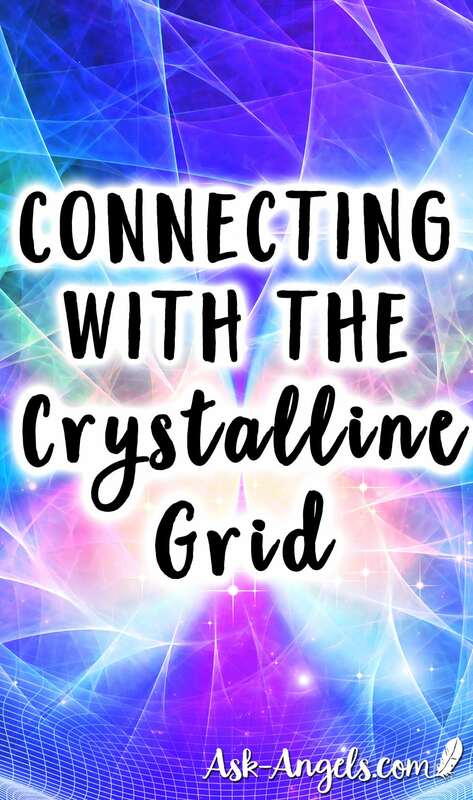 Also, the crystalline grid is conscious, and will help facilitate your connecting with it when you ask. Feel your vibration lift. Feel lighter, radiant, peaceful, as through your open heart and mind, you link with the infinite light of the crystalline grid. Receive them in through your crown chakra, into your heart. Feel your heart bursting with light. Stay in this light until you feel you received this download. Feel your energy ground once again, flowing down in the crystalline column to the core of Gaia. Let the light flow back into your heart and shine forth the codes of awakening, the keys of ascension you have received. Shine that forth from your heart towards all of humanity who have their heart open and are willing to receive. Give the codes of awakening and keys of ascension to the human heart grid. As you give this light to the earth and humanity, you receive its blessings tenfold. 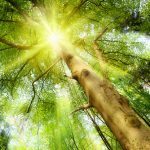 Marijuana and Spirituality – Does Cannabis Support Spiritual Awakening? Hi there, so curious now about all that I read above. Have been getting downloads since Dec. so many visions, numbers, frequencies, and inquiries. I have now seen with my own eyes and I am a believer. Need someone to talk to now that I also believe finally that I am not going crazy. Do you ever do consultations or have time to talk to people who have no guidance but are right there with you? Thank you Melanie sending you all light love and blessings for this unique and powerful Solstice! Hi Melanie, you are indeed an angel. God bless you for your emails which come right at the most pressing moments of this strong cosmic energy. Today, after following your directions, I could feel like a weight lifting off my shoulders. I feel with a lighter and more peaceful mind. I have saved numerous instructions from your emails, because after trying other approaches from other sources, your directions have been working for me. Thanks so much, Melanie, and God bless you again.